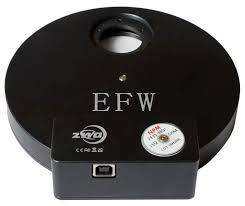 This electronic filter wheel from ZWO is most likely of of the smallest 8-position filter wheels in the world. It is also extremely lightweight, it weighs 400g only. 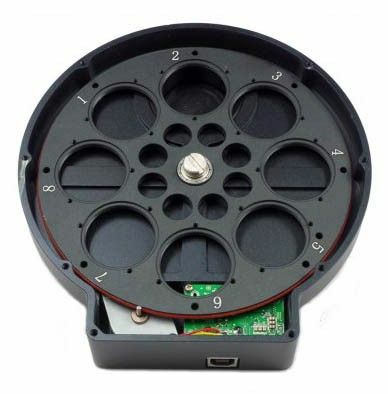 This high quality 8-position filter wheel has been designed mainly for astro photography, especially, but not exclusively for ZWO ASI1600 cameras. Depending on the focal ratio of your telescope you can use it with standard 1.25" filters in filter cell or you can choose 31mm unmounted filters where a smaller filter would cause vignetting and use of at least 31mm filters is necessary. As it is ASCOM compatible, therefore it can be used with cameras of other brands as well. Up to 8 filters can be installed in the numbered compartments that accepts both 1.25" (mounted) and 31mm (unmounted) filters (or semi-mounted 31mm Astronomik filters), and each can be selected for your eyepiece or camera from an imaging software. 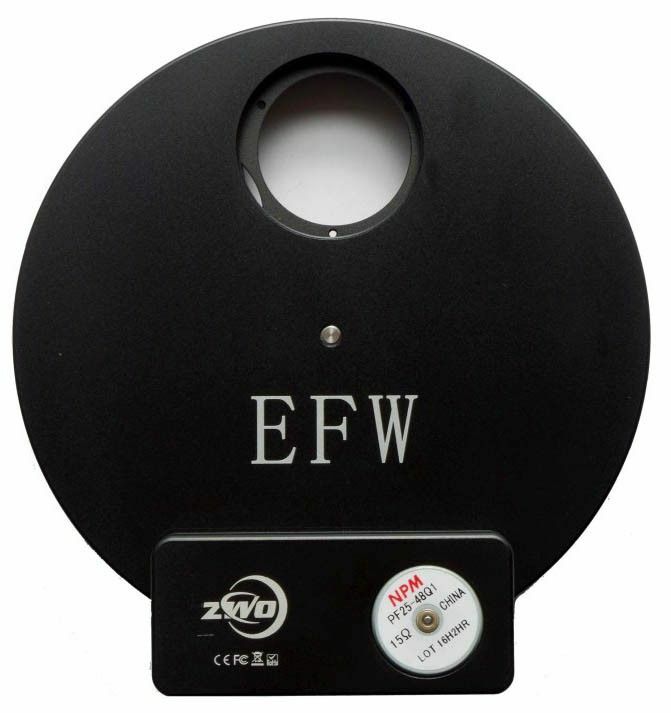 ZWO now offers 1.25", 31mm and 36mm LRGB and narrowband deep sky filters as well. The filter wheel can be attached to your focuser either by the supplied 1.25” nosepiece adaptor or via a T-thread. There is actually a female T-thread on both sides of the filter wheel, but it also comes with a reverse adapter with male T-thread on both sides. 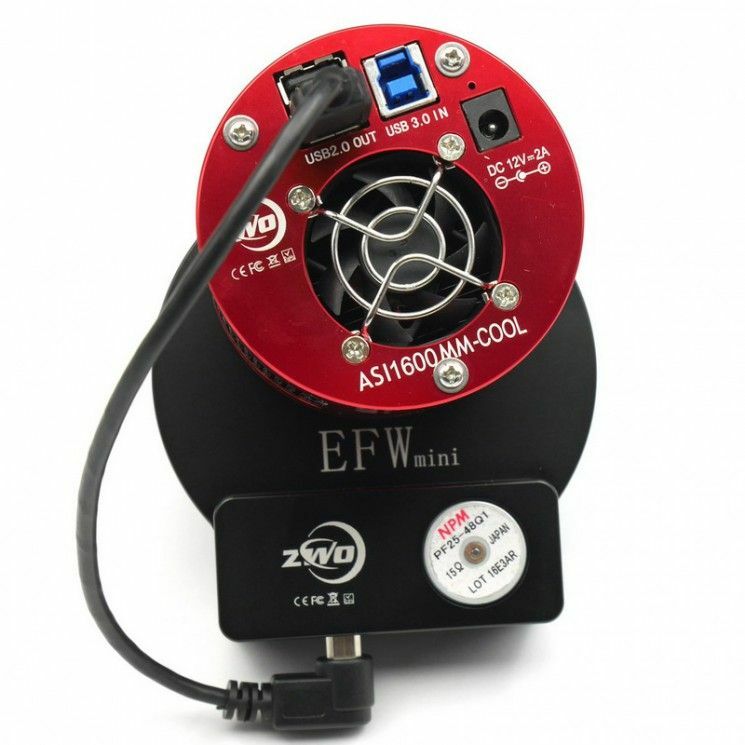 The distance between the filter and sensor is around 10mm when you connect the ASI1600 to this EFW, so a 1.25″ filter won’t have vignetting with a scope with up to about f/8-f/9.5 focal ratio (depending on the thickness of the filter) and a 31mm filter won’t have vignetting up to about f/2.8-f/3.2 lens (depending on the thickness of the filter). Please note, these figures are slightly different from ZWO's own calculations and to be checked in practice. you just need to plugin the EFW with a USB2.0 cable and install the ASCOM driver from here. 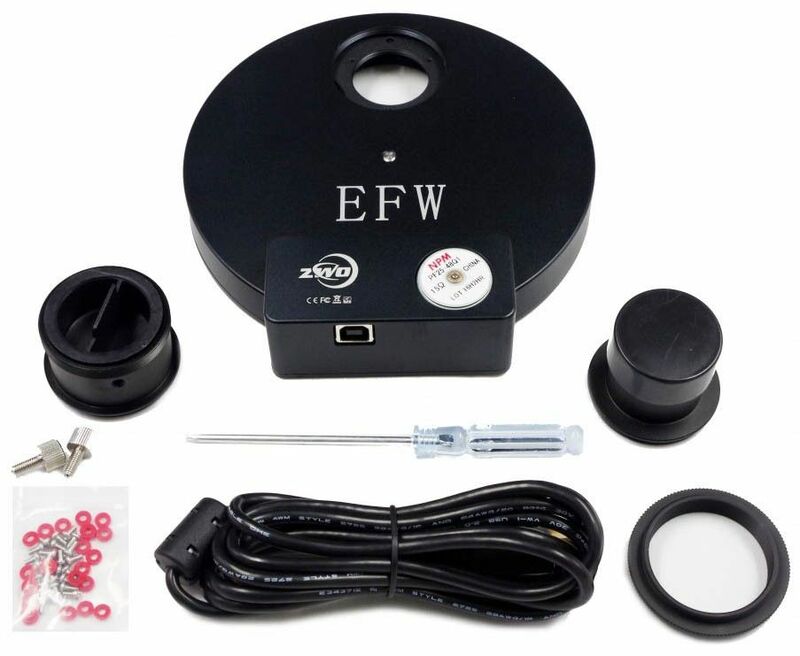 There are ZWO Filter Wheel(1) and ZWO Filter Wheel(2) to select, you can use either one of them. You can control 2 filter wheels simultaneously from one software.